This week, IOI-SA was in Langebaan, on the West Coast of South Africa, for a meeting to develop a new project, WIOGEN: Western Indian Ocean Governance Exchange Network. The project is an exciting opportunity to work with our partners at Leibniz Centre for Tropical Marine Research (ZMT) in Bremen towards building capacity for ocean governance in the Western Indian Ocean Region. We also had the opportunity to meet the rest of the teams working on proposals for the MeerWissen project, funded through BMZ and managed by GIZ. It was fruitful meeting for sharing ideas and suggestions on six exciting proposals that will benefit African marine research, sustainable resource use and good ocean governance. The IOI-SA is one of the three Centers in Expertise for the “Enhancing Marine Management in West, Central and Southern Africa through Training and Application” Project. 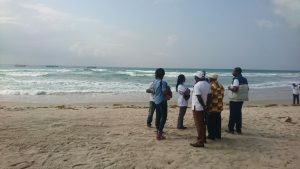 In January and February of this year (2019) we have visited the three pilot countries – Benin, Ivory Coast and Ghana – to understand their capacity needs for implementing Marine Spatial Planning (MSP) as part of the Mami Wata project. Applications are open for the 2019 IOI-SA Course in Ocean Governance for Africa. The course will run from the 2 – 27th September 2019 in Cape Town, South Africa. The course is run in collaboration with our partners, SANBI and SAIMI. For more information, please go to the Course Page where application forms are also available. Applications will close on the 18th April 2019. Spaces are limited. In October 2018, IOI-SA attended the 3rd World Small-Scale Fisheries Congress in Chiang Mai, Thailand. The Congress is an international gathering of approximately 350 researchers, practitioners, academics, fisher organisations, CSOs, international development agencies and policy makers to share information about all aspects of small-scale fisheries and to formulate action plans and capacity development programmes to support the implementation of the UNFAO SSF Guidelines. 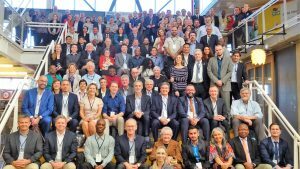 The main theme for the 3rd World Congress was ‘Transdisciplinarity and Transformation for the Future of Small-Scale Fisheries’ with the aim of facilitating interaction, information sharing, cross-fertilization of ideas and networking opportunities for participants. 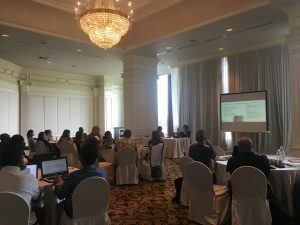 In October 2018 IOI-SA attended the Too Big To Ignore Network (TBTI) Train-the-Trainer workshop for Transdisciplinarity in Small-Scale Fisheries in Chiang Mai, Thailand. The Train-the-Trainer workshop forms part of a 5 month online training course on Transdisciplinarity in Small-Scale Fisheries. 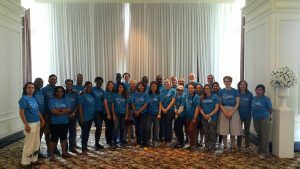 The Train-the-Trainer training brings together of a group of around 30 academics and NGOs who are involved in small-scale fisheries training, teaching or capacity development in different regions. 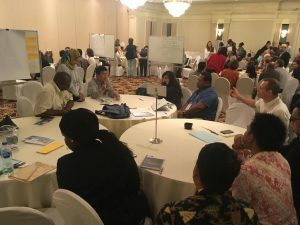 The group discusses the use of transdisciplinarity methods as a tool to address challenges in small-scale fisheries, as well as effective teaching and training methods. 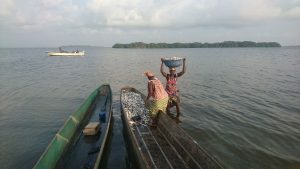 In January 2019 TBTI will launch the online Transdisciplinarity in Small-Scale Fisheries course. In this way, the Train-the-Trainer workshop creates a network of facilitators for the online training, but also to partner in disseminating face-to-face training in Transdisciplinarity in Small-scale Fisheries. Deploying the wave and tide recorder that will sit at the bottom taking measurements all week. 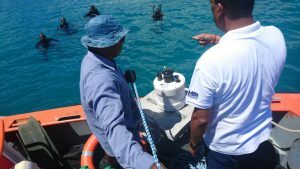 Adnan Awad is in Mauritius overseeing a port biological baseline survey, with the team from Mauritius Oceanography Institute. 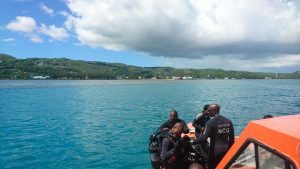 They are sampling all habitats in and around the Port Mathurin and adjacent marina, including video transects on the outside coral reefs. This will give them a baseline of marine biodiversity and indication of any introduced alien species. So far they are very impressed with the species richness for corals and reef fishes and haven’t yet noticed any serious invaders. 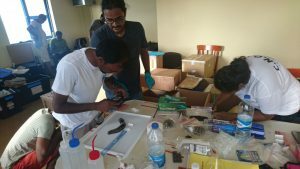 Following 5 days in the field, samples will be sent back to Mauritius and South Africa for taxonomic ID, which may take several months. IOI-SA has been the Cape Town support base for the Building International Partnership to Enhance Science-Based Ecosystem Approaches in Support of Regional Ocean Governance Meeting. The meeting was organised by The GEF, UNDP, UNESCO IOC, UN Environment and FAO. The goal of the meeting was to enhance cross-sectoral, science based ecosystem approaches to regional ocean governance in the implementation of the 2030 Agenda for Sustainable Development. 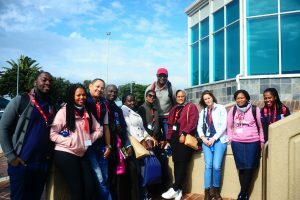 It took place in Cape Town on the 27th and 28th November, 2017 and was immediately followed by the 19th Large Marine Ecosystem Meeting from the 29th November until the 1st December. The meeting report is available here: Report 2017. The agenda and all presentations are available on the IW:LEARN website. 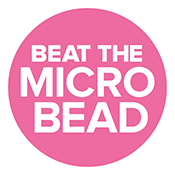 Recent studies on the amount and nature of plastic that is ending up in the ocean, as well as the ecosystem and health impacts associated with this modern source of pollution have caused an increase in public awareness of the issue and concern about how to tackle it. 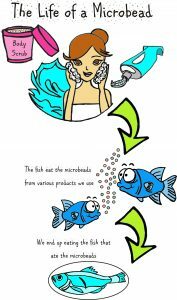 Eighty percent of plastic that ends up in the ocean is getting there through land-based sources. In a world that produces 300 million tons of plastic per year and about eight million tons of that ending up the ocean, from where it is almost impossible to retrieve, the issue of plastic pollution has become a global concern (Ocean Atlas 2017). The solution to the majority of plastic pollution in the ocean starts on land, and while we are only just coming to terms with the scale of the problem, we are also looking for innovative, collaborative solutions. 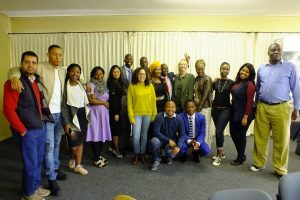 The United States Consulate General, in partnership with the South African Maritime Safety Authority, the International Ocean Institute – African Region, the V&A Waterfront, and Operation Phakisa, held a public discussion on international, regional and local perspectives on ocean sustainability, with a focus on mitigating plastics pollution.